The members of Licorice are currently working on some exciting projects. Dave, Matt and Josh are currently performing as The Whitewalls. For news, tour dates and to download The Whitewalls EP “The Torch” visit: www.thewhitewallsmusic.com. What else have the members of Licorice been up to? 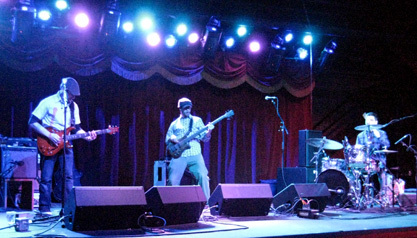 In 2010 Dave Lott released a solo EP “Gates of Brooklyn” and has also been performing with Rebecca Hart & TSC. For updates and to download Dave’s EP for free visit Dave’s page. Matt Epstein has also been busy both in the studio and performing live with Food Will Win the War and Rebecca Hart & TSC. To see what Matt has been up to visit: www.mwepstein.com.